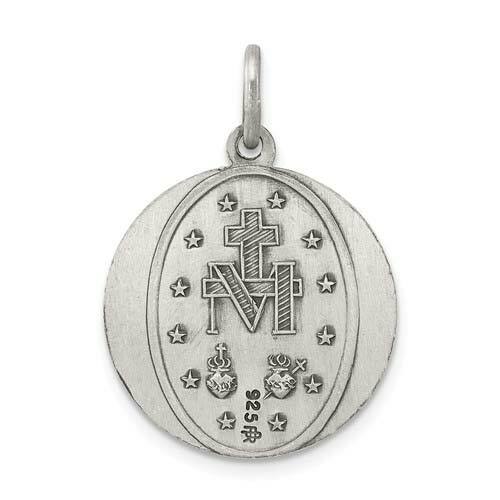 Round miraculous medal is made of solid sterling silver with antique finish. 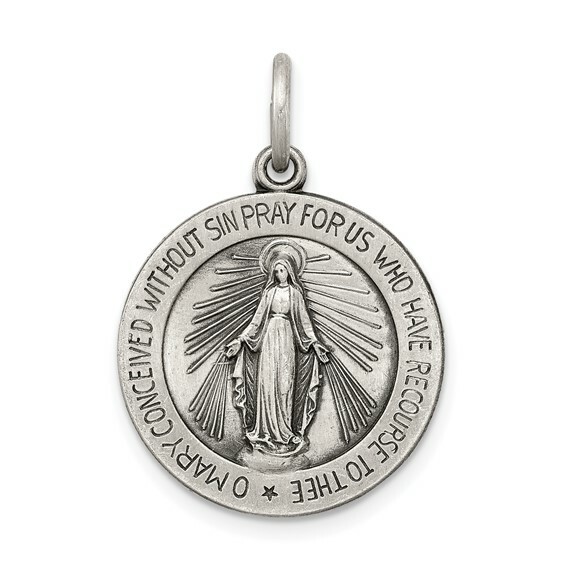 Measures 3/4 inch tall by 3/4 inch wide without bail. This item is the size of a penny. Chain not included. Made in the USA.